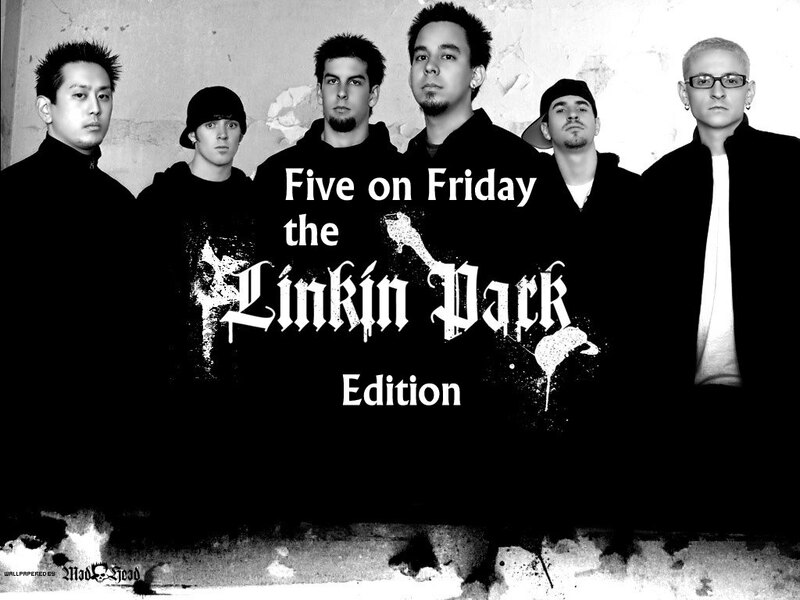 For this week's Five on Friday - hosted for the past two+ years by Travis - I'm using five songs from the band Linkin Park, an American rock band from Agoura Hills, California that was formed in 1996. 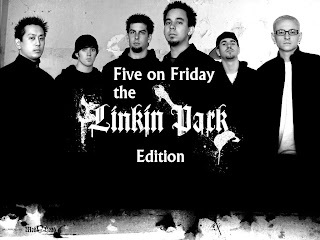 The band has sold over 50 million albums worldwide and has won two Grammy Awards - one in 2002 for their song "Crawling" which was nominated for Best Hard Rock Performance and then again in 2006 for "Numb/Encore" (with Jay-Z) as Best Rap/Sung Collaboration. Personally I like "Numb" just as it is minus the rapping part but whaddyawant, I'm old! That's not to say that there isn't some rap out there that I like but sometimes I just find the language a little too offensive even in this day and age. interesting set.I hope that you have a fantanstic weekend. You're old? Ha! I've reached the "For God's sake turn it down!" age. Actually like linkin Park at about 1/8 volume. :-) Somewhere I Belong is a wonderful song. Is it any shock that I LOVE Linkin Park, my Muse sister? Can't pick a favorite from this set, no siree. I don't know much about Linkin Park. Thanks for the introduction.